As technology and banking become better bedfellows, new methods of thinking about the banking process have allowed such companies as ConnexPay to create newer, simpler and often less expensive ways of processing transactions. This is especially true in the areas of travel and e-commerce. 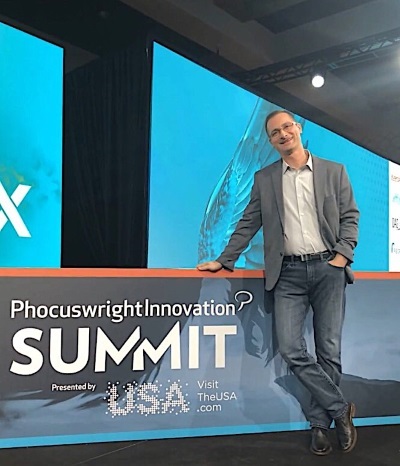 We sat down with Bob Kaufman, founder and CEO of ConnexPay, after the company picked up the top award for Travel Innovation in the Start-up Category at the recent Phocuswright 2018 conference in Los Angeles, to get a sense of how banking and payment reconciliation may be changing in the travel industry — and what this might mean for other industries as well. Q. Tell us about how ConnexPay evolved. How did you recognize the need for this service? Bob Kaufman: I was with a large bank for 20 years and had been asking about customer payments both in terms of accepting payments from clients and making payments to suppliers. I found a lot of pain points in those transactions. The two major ones stemmed from the fact that banks don’t like doing business with travel companies and specifically with what I call travel intermediaries such as travel agencies, tour operators, consolidators and anyone sitting in between the consumer and the end provider. The banks struggle with the business because of what they call future delivery risk, meaning that if the travel agency takes a payment from a customer today, for something that happens in the future, i.e., a flight or a hotel stay weeks or months later, if that entity happens to fail and go out of business in that time period … say, the flight’s cancelled, the hotel was blown over in a hurricane … if something happens of that nature then the bank would then be on the hook for any chargebacks that would occur, should the traveler seek to get his or her money back. So, what does that mean? That means banks typically charge the supplier really high fees, they often require reserves, they often have limits put on their volumes, and the list goes on in pain points travel companies face. On the other side, agencies booking these services run into a credit problem. Imagine taking a payment from a traveler again, say, for a flight. The travel agency doesn’t actually receive the money in its checking account until, at best, the next day, often it’s two or three days or even four days later. Yet, as the agency, you need to pay for that flight at the time of booking. You can’t simply reserve a flight like you can a hotel room; further, more and more hotels are offering a fairly significant discount on at least some rooms if you pay up front. But again, the agency or payer does not have the money yet. So, they need credit to be able to make those payments. But banks do not like to lend to travel agencies, as they tend to have very little in assets on their balance sheets. The agent for these transactions processes possibly hundreds of millions of dollars in payments. It was those pain points that were the real the catalyst for founding ConnexPay. Q. Please describe how ConnexPay works. At most organizations, the folks that work on the acquiring side of the business for helping companies accept cards and the folks that work on the issuing side that help people make payments with cards are two completely separate groups, two completely separate organizations, separate systems, two contracts, etc. So, we took a look at what would happen if we put them together — I use this technical term: “smash” them together. I can’t tell you what it took in lawyers’ fees just to be able to get one contract for our clients that covers both accepting cards and making card payments. While it sounds simple, it’s pretty complex to put those together. It’s never been done in the history of time. But, I’m an entrepreneur at heart, I grew up in a family where my dad owned his own business. Although I spent 20 years in corporate banking many of those years I was able to be sort of an entrepreneur within a large organization. We had great leadership there, and the former head of payments actually joined our board. When she left the bank, my ability to be an entrepreneur in a big company changed, and that was the right time for me to move on and try this concept on my own. So, we did raise money. We’re venture capital backed by two different VC firms and they have proved to be great partners. Q. In terms of describing just how ConnexPay works, please give us a rough example. Bob Kaufman: OK, I’ll keep it simple. We’ll just use ABC Travel Co. as an example. Imagine ABC Travel sells you a flight and a hotel room. We would provide the ability for them to take that payment from the traveler. The first thing we do is run it through a state-of-the-art fraud system. Fraud is a big deal within the travel industry, so the fraud system we have in place helps ensure that we have a good transaction. Once it’s approved by our fraud system, we then run it for approval through the networks, whether it’s a VISA, Mastercard, AmEx or Discover card. As soon as we get authorization on that transaction— and here’s where we really start to diverge from others: instead of ABC Travel Co. waiting for their money for two or three days, they have access to those funds immediately, in real time. If it’s a $1,000 purchase, they have up to $1,000 to spend to create single use cards to pay for what a customer has bought. If that means an airline ticket for $500 and/or a hotel stay for $400, we would create cards in real time to make payments to those end providers. Q. Would that be two different transactions or could you just “smash” them together? Bob Kaufman: It could be, it’s up to the client. It could be one card that’s used at both vendors or it could be two separate cards. We recommend two separate cards. It helps with reconciliation and is another form of fraud protection. We can create a card that can only be used at airlines, for instance. They are single use cards for a specific vendor. We offer both Mastercard and Visa and our clients can choose which card company transaction by transaction. In some cases, it will make more sense for them to use Mastercard and other cases, Visa. So, this is another thing that differentiates us from other companies using virtual cards because clients can pick and choose the brand transaction by transaction. It’s a 16-digit number like any other card but with no plastic tied to it. It goes to the travel provider and they would process the transaction through their merchant provider, whomever that may be. In some situations, you might be able to maximize your revenue within a product or brand from the rebate you receive. Or you may choose a product that allows the cost to the travel provider to be minimal. So, depending on the situation, that intelligence is built in our proprietary technology. No one offers this ability. To finish this basic example, $1,000 is charged to the traveler: a $500 card number was issued to the traveler to pay for the airline ticket, a $400 card number to pay for the hotel, and $100 is left. That is the travel agency’s mark-up or commission and that is provided to them on a daily basis. Tour operators, travel agencies and those who put those packages together, they are all prime candidates for ConnexPay solutions. Q. What are the benefits? What are the risks? Bob Kaufman: By processing payments this way, we remove a lot of the risks that exist in the payment process for banks and by doing that, our bank charges us fees that are very low and cost-effective. We then can save clients, in some cases, millions of dollars a year from what they are paying currently in fees. The second benefit is the credit challenge. There is a unique way now through ConnexPay to get a line of credit and that is leveraged in the incoming payment, from the traveler in this example, to basically fund the virtual card in real time. For example, if you go to Best Buy today and you plop down your credit card to buy a $2,000 television, you are going to walk out the door with that TV even though Best Buy does not actually have your $2,000 yet. We are basically doing the same thing. We’re relying on the fact that we have a good authorization on your card to allow our merchant customer to then give something — not a TV but in this case a payment to the airline or the hotel or the excursion operator. Part of the issue in this is the future delivery component — when a bank gives a travel agent their money, they have no idea whether the customer ever got what they paid for so a traveler could, in fact, go to their hotel and find the hotel was never paid for. That is where losses can happen. Risks for us? Of course, there is a little bit of risk here but for us it is the margin. In that example of the $1,000 for air and hotel and the $100 to the agency: If the hotel blows away in a hurricane, I can get the money back from the hotel. But if the agency goes out of business, then I am out that $100. So, we have assessed this risk and built it in to our model. In this space, the margins are relatively small. Q. 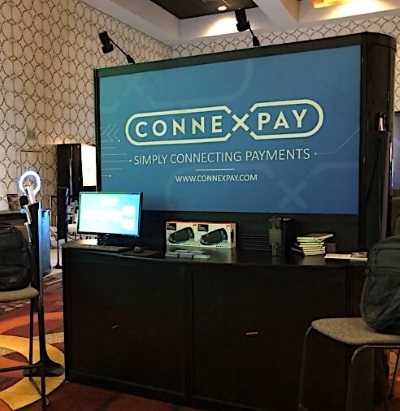 How is ConnexPay emblematic of the changes in payments systems we are seeing these days? Bob Kaufman: I think we’re seeing simplicity — people want more simplicity in their lives. You can pay with your phone, for instance, so we are seeing a lot of innovation in these areas. But where we haven’t seen innovation is within travel. Consider how you have been paying for travel for the last many years. For the most part, it has not changed. 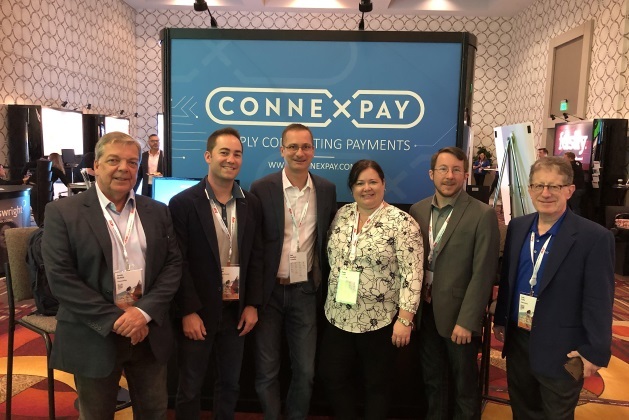 ConnexPay is that kind of innovation that is going to simplify things — not so much for the consumer — but for the travel companies and how they manage their business and their back end and reconciliation — all those things become much simpler with ConnexPay. When payment networks such as Mastercard and Visa became public companies, I think that helped drive creativity in this field. We have also started to see a lot of financial technology companies emerge over past five or 10 years that have been driving innovation within payments. It’s hard for banks to be creative and nimble because they are highly regulated. I saw this first hand in my years at a large bank. But this is why you now see a lot of “fintechs” starting up and banks choosing to partner with these firms rather than trying to innovate on their own. Q. Why is travel the perfect space for this system? Bob Kaufman: Travel is where a lot of these pain points exist. And it applies to other industries, such as e-commerce — say Amazon where 60 percent of the time that item you are ordering is actually getting fulfilled by some third-party affiliate. In the ConnexPay model we are processing that customer’s payment, for instance, at Amazon. And then we are turning around and issuing a single use card to pay that supplying company and doing that all in one step — something that is a lot simpler than what has been in place. Q. What kinds of feedback are you getting? What are the concerns or obstacles you are hearing? Bob Kaufman: You know, it’s amazing how positive everyone’s feedback has been, because, as we’ve talked about, these companies — especially in the travel space — are operating on really thin margins. I just had a conversation with a mid-size company, processing a couple hundred million dollars a year. When they’re making two or three percent, and I can take their card processing costs down from three percent to two percent, as an example, and that’s literally a one percent increase in their bottom line. So, when they’re only making two or three percent, that’s a 33 to 50 percent increase for them. That’s significant. Our concern as a business, it turns out, is not about getting business. That may sound strange for us as a startup. Our concern is actually about being able to manage it all. I’m a conservative guy by nature and want to be sure we grow at the right rate. I want to make sure that, as we add new functionality, that it’s done in a rock-solid way. We’re being very pragmatic about how we grow and make sure that our clients are extremely happy. Q. So, in terms of obstacles…. Bob Kaufman: If I had to pick one, at the end of the day it would be that this is a technology solution. It’s not a plug and play. There is some work that our clients need to do on their side to implement our solution. That work isn’t extensive — some of our existing clients have done it in a couple weeks’ time. But the reality is that everybody has a lot of technology projects on their plate. It’s really about making the project a priority. Q. Is ConnexPay in play at this time? If not, when and with what companies? Bob Kaufman: We started processing transactions just this month. As I mentioned before, we’re growing. Our initial clients under contract represent millions of transactions per year — 2.3 million transactions and $1.3 billion in spend annually. And we are quickly adding to that. Q. How would you characterize ConnexPay in 100 words or less? Q. Who or what companies should be watching ConnexPay and looking for partnerships? Bob Kaufman: I’ll focus on travel first. And those I describe as intermediaries: anyone sitting between somebody buying a good or service and the actual company providing that good or service. Typical companies in travel are online travel agencies, tour operators, consolidators and the like. Hotels and airlines, on the other hand, they’re not our targets. Bob Kaufman: We will continue to see a lot of focus on fraud. If I think about the U.S. vs. other markets, for example, quite honestly the U.S. is behind the times when it comes to payments. Part of that actually stems from the fact that historically the fraud rates in the U.S. have been significantly lower than in other parts of the world. Thus, there has not been much incentive to drive innovation. I even remember when we rolled out cards with chips in them. There was a big fight about whether there should be chip-and-pin or chip-and-signature. And, as you know, today, it’s largely chip-and-signature. You put your chip in the dock but you still sign for the transaction. In many other parts of the world, you also have to enter your pin, which is more secure since, if somebody steals your card, they can go use it by forging your name versus also having to know your pin. The statistics show fraud is something that has happened to a large percentage of the people who use credit cards. But because the fraud rates in the U.S. haven’t been historically high, there hasn’t been the incentive to drive those types of changes. It’s a change for consumers, a new way of doing things, and people are generally resistant to that. But I think over time we’ll continue to see a greater focus on security — and that’s why virtual cards, which is what ConnexPay uses — are the right types of things to use when making payments. Think about corporate travel. Corporate clients are concerned about having their card information in the hands of thousands of vendors. The standard in processing in corporate travel is that you, as the employee, give your corporate card number to the agency booking your flight or hotel. Then that card is used as a form of payment and the information sits out there in hundreds of thousands of databases where it’s subject to breach. In the virtual card environment where we would process that card, it only sits in one spot. Then, at the corporate agency, they’re the only ones that have that card. When we make a payment to the hotel or airline, we use a virtual card for those transactions. There is no risk of that card getting stolen and used because the number we generate cannot be used past the one time. Q. How does that change consumer behavior? Will they pay online, not carry plastic? How do you see that landscape? Bob Kaufman: I think consumers will continue to be more cognizant than ever about where they’re plugging in their card and card information, especially as many of us have encountered some type of fraud on our cards. At the end of the day, online purchases are only going to continue to grow. We buy a lot of our food and everything else online now, so I think consumers aren’t going to ever stop that behavior. So, what you’re going to see is that behind the scenes, the banks, the way that transactions are processed, there’s going to be more of a focus on security, and making sure there’s not an ongoing trend for more fraud.